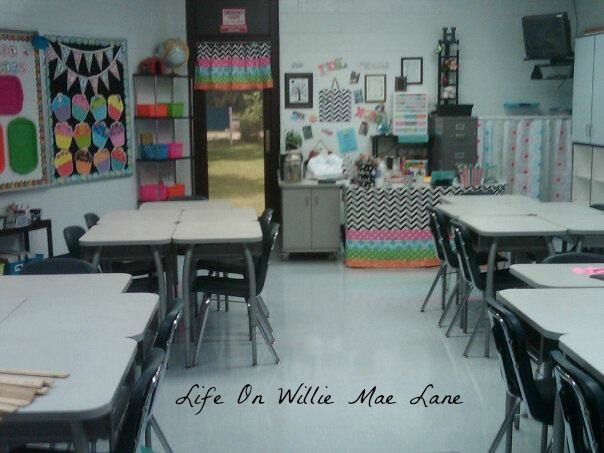 Life On Willie Mae Lane: We Survived Andrea! Just a real quick post this morning because I wanted to share a couple photos. 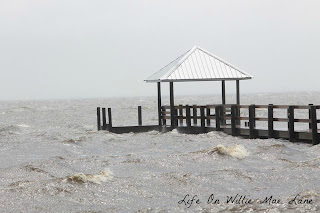 I'm a Florida girl so we got pounded yesterday by Tropical Storm Andrea. She wasn't too hard on us here in North Central Florida, she left a LOT of rain....something we needed! 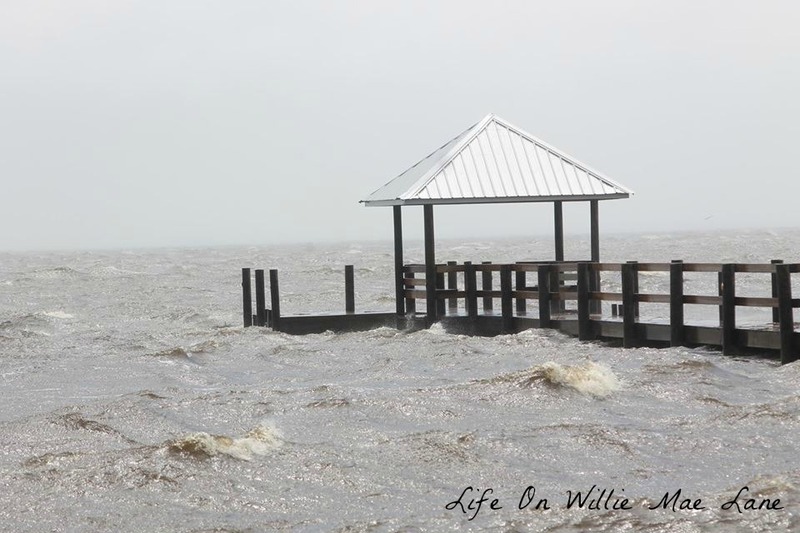 The wind wasn't too bad here in my woods on Willie Mae Lane, but I am sure it was much worse on the Gulf Coast which is about 35 miles from home. 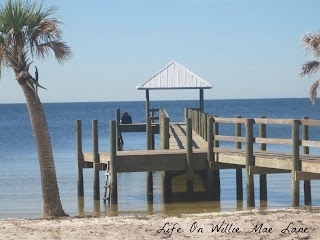 Here is a photo of a sweet little place in my county called Shired Island. This was taken by myself back in February on a fun family outing.You can read about it here and see more photos if you are interested. 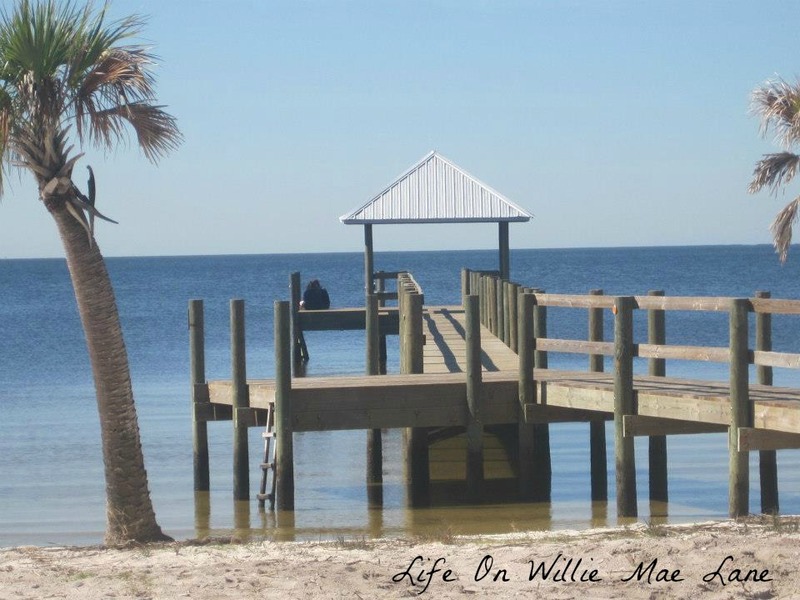 There are no waves here ....the water is very still.....on a normal day! I pray there were no fatalities and not too much damage from this storm. She has passed us and it is calm and peaceful today. The flowers and trees are so very thankful for the rain....as am I! I guess I need to go get busy....it's my last full day of work. 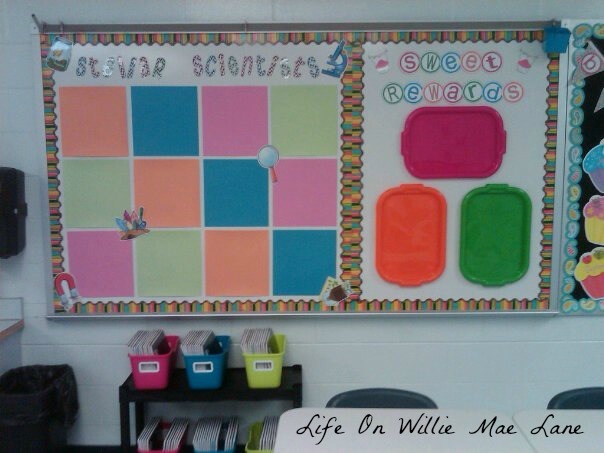 I am moving to a bigger classroom (with an office) and have a LOT of work to do. I am excited though and am trying to decide how to decorate for next year. 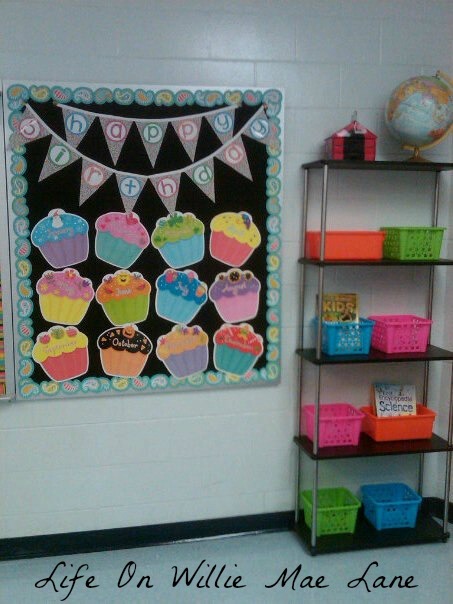 I love decorating my classroom each year and I make a lot of things for it. I'll be sharing over the summer I'm sure! 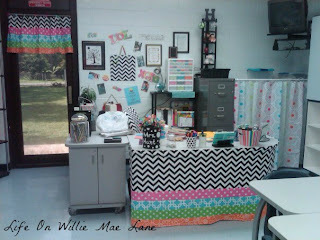 I'll leave you with a few photos from my current classroom....:) It has been rearranged somewhat since these were taken at the beginning of the year, but you can see some of the things I made....curtain, desk skirt, recovered desk chair, pennant banners, birthday banner, etc. I am SO thankful to hear you and your family are okay. The first photo is beautiful and you are right, very peaceful. Vicky I'm so glad you are OK! The photos are awesome! Enjoy your last days of work! Summer is here! 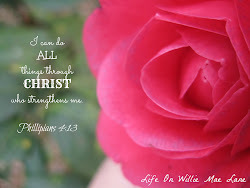 You sent all that rain our way - thankful for my yard, but looking forward to seeing some sun! 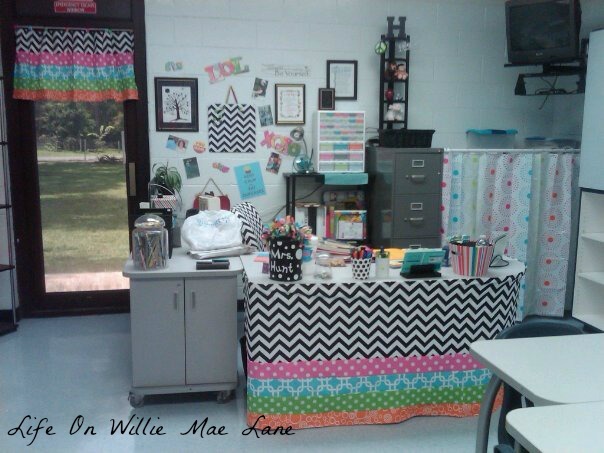 Seeing your classroom makes me very nostalgic for my teaching days. 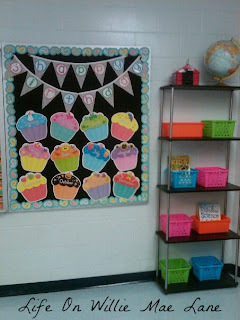 Decorating the classroom and making things for the students was always favorite things to do. It is funny seeing your desks arranged like that - exactly how I use to put the students! Let's see your end-of-school happy dance.